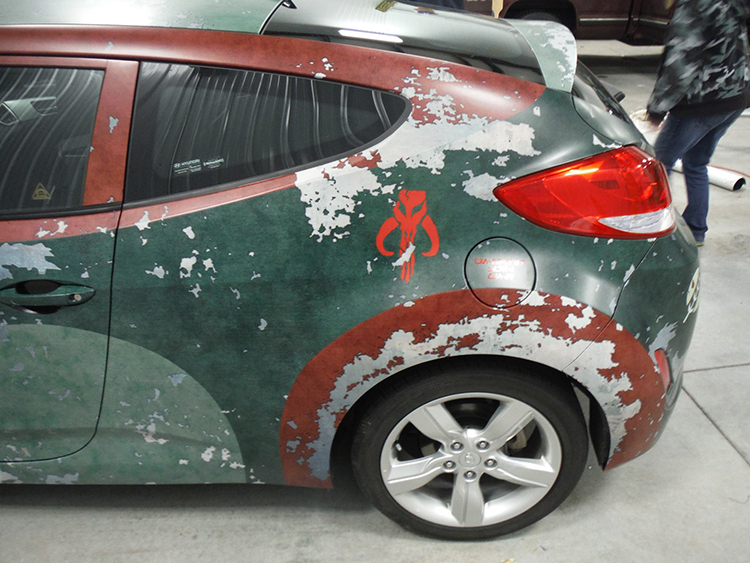 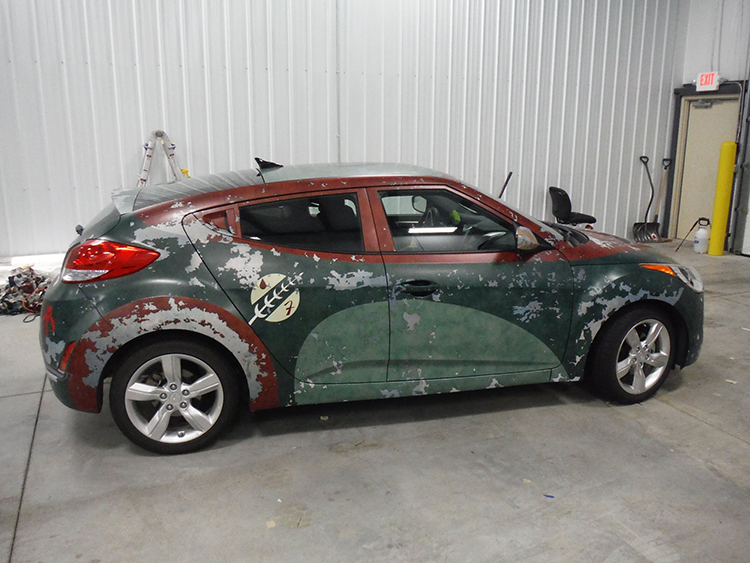 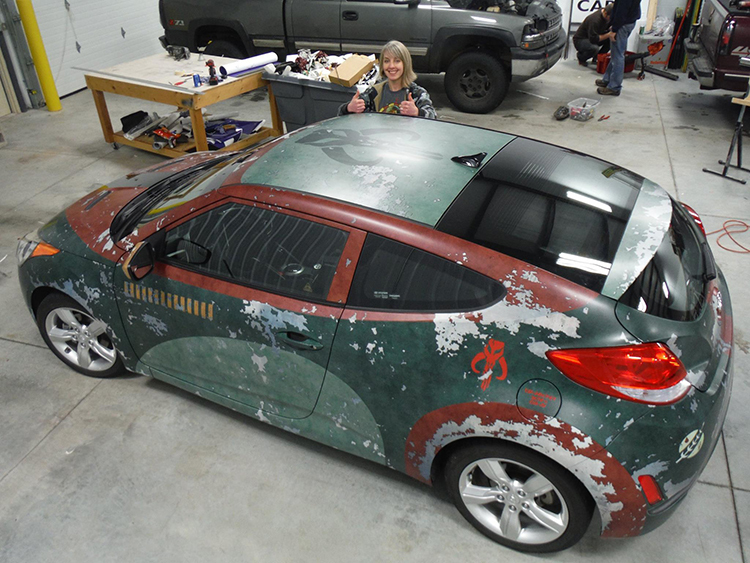 Artist Rebekah Stieg Knuth of Knuthart Studios recently posted photos of her out of this world Star Wars-themed Hyundai Veloster that she had covered in a Boba Fett-style vehicle wrap. 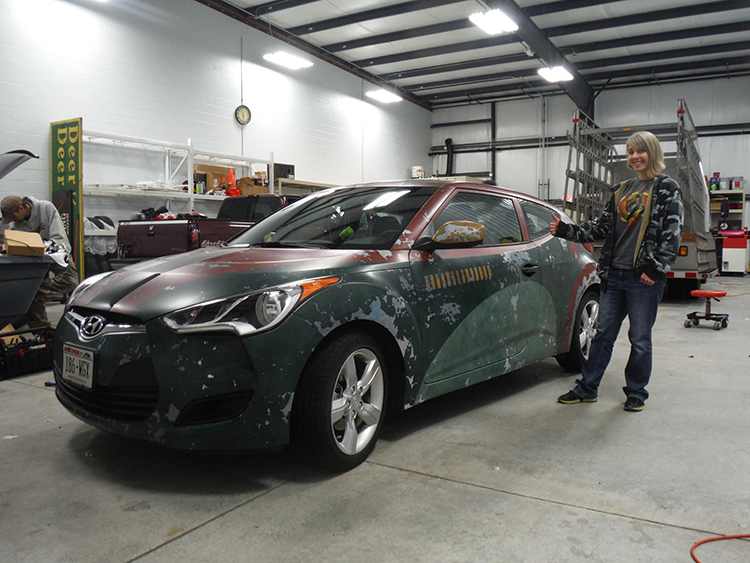 Knuth, who has appropriately renamed her car “Ivor Fett,” did all of the graphic design and layout of the wrap before having it installed by Josh Bevers and Tom Hrubesky of Fastsigns in Appleton, Wisconsin. 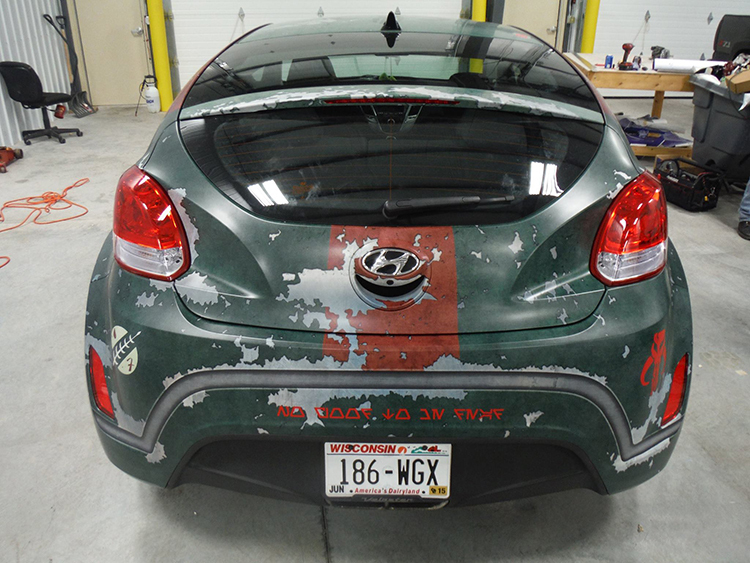 More photos of the bounty hunter makeover and a time-lapse video of the application are available to view online.